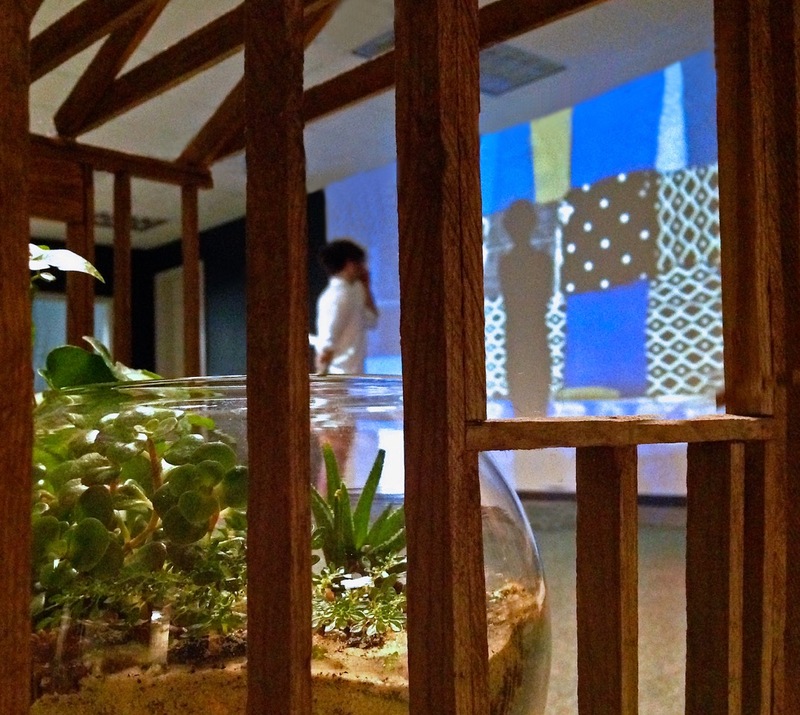 The Facility for Arts Research (FAR) is collaborating with Chalet Comellas, Department of Art, to turn one of FAR’s community spaces into a locus of creative collaboration and discussion. 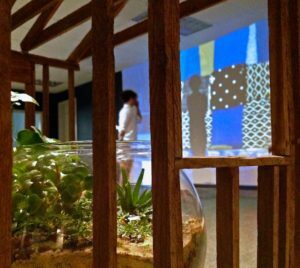 Comellas’ past work is described as immersive socially engaged environments. A few projects that she has been involved with are large-scale community outreach projects which provide both aesthetic and community building improvements in public spaces, including The Konbit Shelter Prototype (2012, Braddock, PA), a sustainable building project with the collective TRANSFORMAZIUM and The Shelter Project (2011, Tallahassee, FL), a public art project at the Leon County Homeless Shelter with the artist SWOON, Caledonia Curry. FAR’s main mission is to encourage collaboration in the arts and beyond and to help facilitate these interactions. Comellas is re-imagining the look and functionality of the common space that exists between the three project spaces (Comma Project, Small Craft Advisory Press, and REBOOT). The space includes an audiovisual presentation space and has been designed using a variety of up-cycled materials and generated through a series of collaborative projects. The new space provides an opportunity for community building because it provides not only a comfortable seating area to host talks, view presentations and have conversations, it more importantly has the potential to become a hub for creative exchange. On September 14 at 7:00, Comellas has invited the art department graduate students to participate in the creation of a series of weavings that will become functional and decorative elements in the new space. Keep an eye out for our announcement for the grand opening of this collaboration in October!